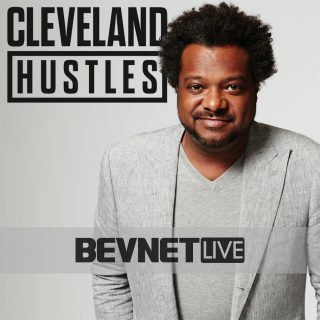 BevNET Live has added a late surprise to the agenda: Bonin Bough, the host of CNBC’s Cleveland Hustles and a digital and social media expert who pioneered strategy roles in those disciplines as a marketing executive for both PepsiCo and Mondelez. Bough will be speaking on Wednesday, June 14, the second day of BevNET Live, which will take place at the Metropolitan West in New York, NY. Bough, who is a renowned expert in media trends and advises some of the country’s largest businesses on marketing campaigns, has gone small in his role with Cleveland Hustles, from executive producer LeBron James. The show looks at the challenges facing four entrepreneurial businesses in a neighborhood in Cleveland, Ohio, where Bough and a team of experts attempt to help provide guidance, advice, and counsel as they push forward toward success. Bough’s experience in marketing with PepsiCo and Mondelez will combine with the work on the show to provide the BevNET Live audience with “Lessons from Cleveland” that will help them touch base with ideas that can help them grow their own entrepreneurial brands. As a former beverage company executive — and current beverage company board member — Bough brings an unmatched ability to translate the up-to-date marketing and brand-building ideas that the show yields for the benefit of BevNET Live’s attendees. From e-commerce and digital media to brick and mortar retailing, innovation, and investment, the BevNET Live agenda is a high-return investment for your brand — and it’s going to be fun and entertaining as well. Register nown — only a few seats remain. Bonin Bough is one of the foremost-awarded marketing executives in his field, the producer and host of The Cleveland Hustles, and the author of TXT Me (646) 759-1837. Throughout his illustrious career as one of the youngest C-suite executives in a Fortune 50 company, Bonin has spearheaded some of the industry’s largest global marketing campaigns across digital, mobile, television, print, and experiential, including the premier of the first ever 3D printed food product, the customizable, real-time 3D printed Oreo at SXSW. Bonin’s prominence as a transformative activator has helped reinvigorate traditional marketing by combining innovative tech via breakthrough brand campaigns including Oreo, Honey Maid, Pepsi, Gatorade, and countless other billion dollar brands. He is seen as one of the top mobile marketers in the world, having been named “Mobile Marketer of the Year” by the MMA. In 2013, he was inducted into the American Advertising Federation’s Advertising Hall of Achievement and has been listed in Fortune Magazine’s “40 under 40”, Fast Company’s “100 Most Creative People in Business”, The Adweek 50 and PRWeek Power List.